We live in a society that applauds self-reliance which has taught us that we can do everything alone, but sometimes we can’t do everything alone. This is especially true when it comes to aging. Now more than ever, more people are aging alone. Perhaps they focused on their career and personal life and opted to remain single. Or maybe unforeseen circumstances have led them to live a life away from family. In any case, the question How can I take care of myself as I grow older? becomes inevitable. Who Is an “Elder Orphan”? An “elder orphan,” sometimes referred to as a “solo ager,” is the term used to describe aging adults who don’t have adult children, a spouse, relatives, or other support groups to rely on for assistance, company and help later in life. The number of elder orphans has grown in recent years. In fact, research shows that 22% of Americans 65 years and older are aging alone and have little to no family or support to assist them. Elder orphans may find themselves living an isolated life. They may find it difficult to accomplish daily tasks or combat depression. This puts them at risk of increased cognitive decline, cardiovascular diseases, and earlier death. Who Is at Risk of Becoming an Elder Orphan? Aging without a support system can make older adults feel lonely. This can increase the risk of losing their ability to perform daily tasks. It also puts them at a higher risk of acquiring cognitive illnesses and cardiovascular diseases. As a result, it can increase their risk of mortality. Aging alone makes it difficult for older adults to engage in social activities. A lack of connections can lead to various issues including psychological complications like depression and an increased risk of suicide. Suicide is an unconventional result of the isolated elderly that is often overlooked by society. Older adults make up 12% of the US population, but account for 18% of all suicides. Physical complications can occur too such as a decrease in function and mobility. Aging adults who live alone and lack a solid support system tend to have limited support during an emergency. If an emergency occurs, they may not be able to get the assistance they need in a timely manner. This can cause an increased risk of injury and even death. Something as simple as a fall from a missed step or a wet floor could cause a very dangerous situation for an elder without a support system. Elder orphans tend to be more vulnerable to abuse. This abuse can be physical, emotional, and even financial. Since solo agers do not have familial support, they tend to depend on advocacy groups which means that sometimes people may take advantage of them. Elder orphans have little or no mechanism or support system in place that would take care of legal or financial affairs. Additionally, they do not have the support to ensure they are not being taken advantage of when their capability and cognition declines. In this stage, elder orphans are generally self-reliant and self-sufficient. They can still manage simple health problems and can rely on their own capabilities to take care of themselves. This is the perfect time for them to assess their community to know whether they will have someone to support them in the future. This is also the time to consider options like long-term care, assisted living, or an affordable nursing home. If they don’t already have one in place, it’s a good idea to make a financial plan to cover finances in the future. Preparing documents like a will and a power of attorney can help elder orphans self-advocate in the future. In the stage, elder orphans may need help with basic tasks including cleaning. The stage can be difficult for elder orphans but now more than ever there are lots of options that can help those who need a little help. This can include home caregivers and domestic helpers. During this stage, elder orphans are in dire need of help from others. At this point they need assistance with basic daily living activities including getting dressed, preparing meals, bathing, grooming, driving, shopping, and perhaps walking. 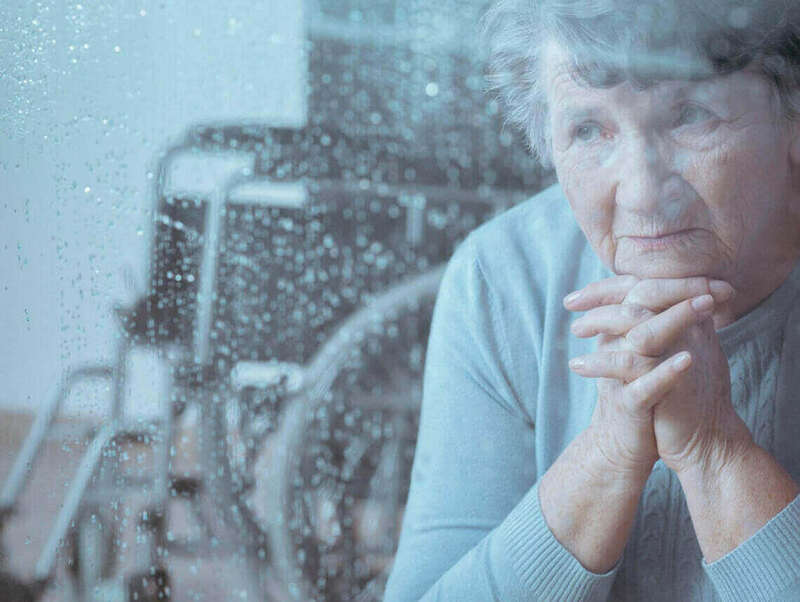 Potential options for this stage include looking into continuing-care retirement communities and other facilities that can help people in need during this stage of their life. During this stage, elder orphans will find themselves highly dependent on health professionals and medical institutions. For older adults who already live with chronic ailments, they should begin preparing for a later crisis in the last stages of life. Creating a plan now is especially important because cognitive impairments can debilitate elder orphans from making decisions for themselves once the crisis begins. This is the last stage. Here, elder orphans may need extensive medical and personal care. This type of care is typically provided by either a nursing home or hospice care. Before this stage, it’s important that an elder orphan has already prepared a Durable Medical Power of Attorney who can make legal decisions about their medical needs for them. This should be a trusted person who can be in charge of overseeing an elder orphan’s medical care and make the best healthcare decisions for them.